Next on the Needles (as of today) – Old Salt Craft Co.
than the knitting I do with my hands. It’s odd to me that knitting is sooooo slow and yet it is my preferred craft; whereas, sewing is much quicker but for some reason it always feels that it takes too long. I have big plans for my next lineup of knitting projects. Don’t you dare quote me on any of these, but they should – in theory – become reality at some point since I have yarn for all of the following projects. 1. Fading Point by Joji Locatelli, using a Primrose Yarn Co. fade kit in the Adelaide base – I’m 3 colors into the fade of the first panel. I so enjoy a good potato-chip-esque pattern – the process is always begging for one more row. 3. Threipmuir by Ysolda Teague, using Rauma Finullgarn in Deep Blue Violet (MC), Moss Green (CC1), and Ocean (CC2) – I’ve only swatched for gauge so far, but I’m excited to get started this weekend. 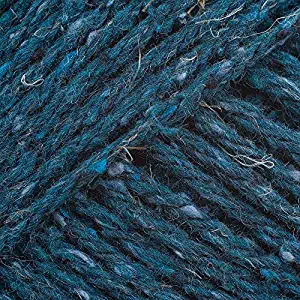 I’m intending for this to by my Rhinebeck sweater, but it isn’t very next-to-skin so if it’s too hot to wear double layers, it may not make an appearance. 2. 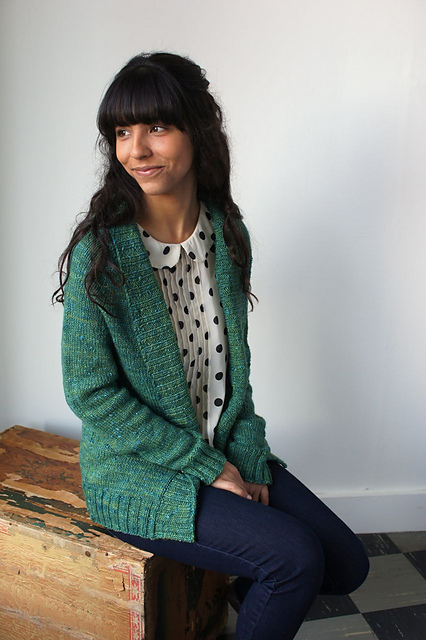 Oxbow Cardigan by Andrea Mowry using Brooklyn Tweed Quarry in Sandstone (as seen on Andrea below I believe)… I know, two very similar cardigans back to back. That may not keep my interest, but we’ll see! And I may actually do this one first since it’s quicker. 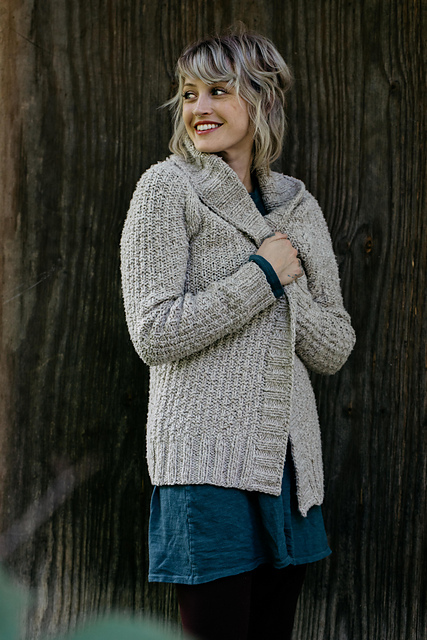 Doesn’t it just scream cozy, fall cardigan??? 3. Bedford by Michele Wang, using Cascade 220 in Japanese Maple – this will by my Thanksgiving Sweater! 4. 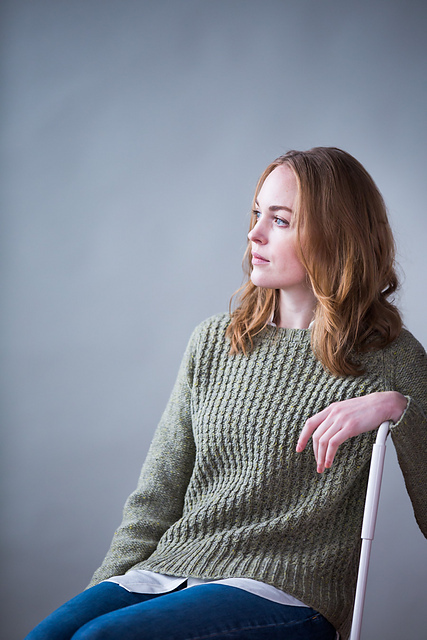 Dry Creek Sweater by Stephanie Tallent, using Cascade 220 in Hunter Green – this will be my Christmas sweater! And then of course there’s another 30 projects in my queue. And these next 5 are only the next garments I’ll do… plenty of hats, socks, shawls, mittens, etc are sure to work their way in there. 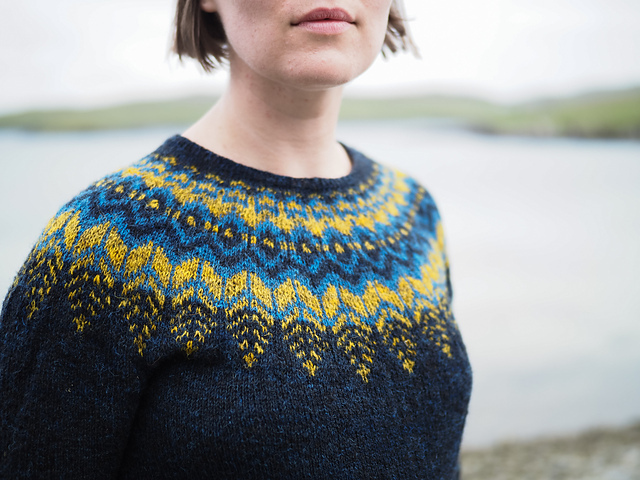 And… considering I have two colorwork yoke sweaters on my needles presently, there’s a good chance another one will end up next on my needles, too. And you know designers will be coming out with all sorts of brilliant patterns for the fall…. But I do have all the yarn for the above 5 projects (which is not to say that I don’t have sweater quantities for other projects). And, these are the 5 projects I’m most excited about…as of today. Keep in my mind I’m not even 50% done with the 3 projects that are on my needles. Previous Four New Me-Made Garments for My Capsule Wardrobe!